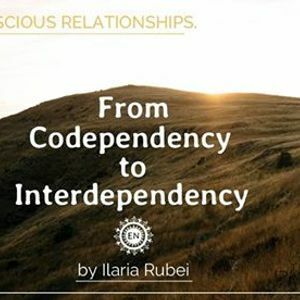 Codependency is a by-product of a misperception about our nature. It is about trying to fix it, or to judge the part of ourselves that so requires to feel reassured, seen, accepted, doesn't allow to recognize what is there for, what it is pointing out to. As always we need to dive into relationships as non-judgemental as we can be, to find the treasures hidden in it. Learning to live in the relationship as a space holder of self-healing, requires to be willing to own our lost parts, to allow the truth to be seen. The truth of our codependent dynamic, and what is behind it. This is the truth that awaits us in our core when we are brave enough to see and to share our defensiveness, our neediness, and our assumed unworthiness. 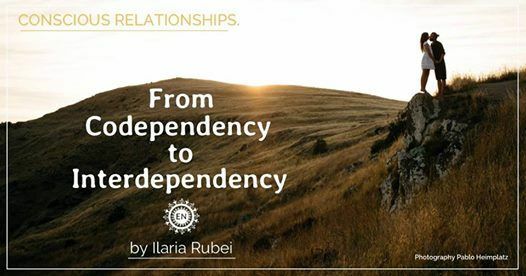 Emotional dependency and withdrawing are strategies that we believed to be the best way to reconnect to our feeling of safety, freedom, and worthiness that we are. Let's go explore these, with an open heart and compassion, reach the treasures that are meant to be released. 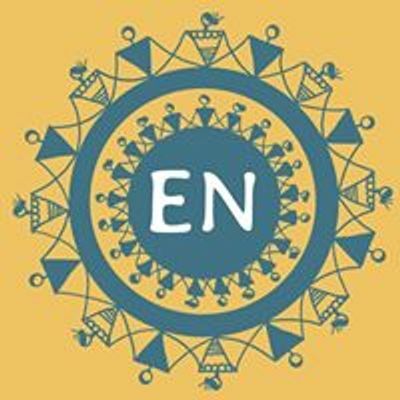 Sharing, exercises, personal cases, questions and answers. Everyone is welcome and there is no need to be in a relationship, you only need to be willing to dive into the relationship with yourself. Ilaria Rubei is a lightworker based in Paris, she serves as a conscious community leader and relationship coach. She facilitates healing groups workshops and is a certified Reiki healer. Ilaria organizes Women Circles during the new and full Moon, and workshops on Sacred Relationships.